Adding a widget such as AddThis , ShareThis and Facebook Like button on your site makes it very easy for your site visitors to share your site and content with their friends and followers via email or social media. Even though these are small widgets, that your developers/designers might not have paid much attention to, they add a tremendous value to your business. According to a recent report by eMarketer 47.5% of the people trust the recommendations of their social media contacts. In order to leverage social sharers you have to make it easy for them to share you content and widgets like these do a good job in making your site shareable. A small widget like this can save you thousands of dollars in customer acquisition and even retaining the customers via either direct conversions from the traffic driven by shared links or by the brand awareness that those links create. Cost of a visit – You can estimate this from either a blended cost of all your online advertising or simply from paid search. That’s all. Using the above information you will be able to calculate the “Cost Savings”, the cost you would have paid to drive those visits that you got for free from social shares. Note: If you are able to tie the social sharing with your web analytics tool then you can not only get accurate count of visits (or visitors) instead of just clicks but also can get the conversions and revenue generated from those shares. 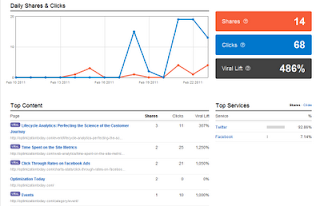 The location of you share widget will have an impact on the number of social shares you get. 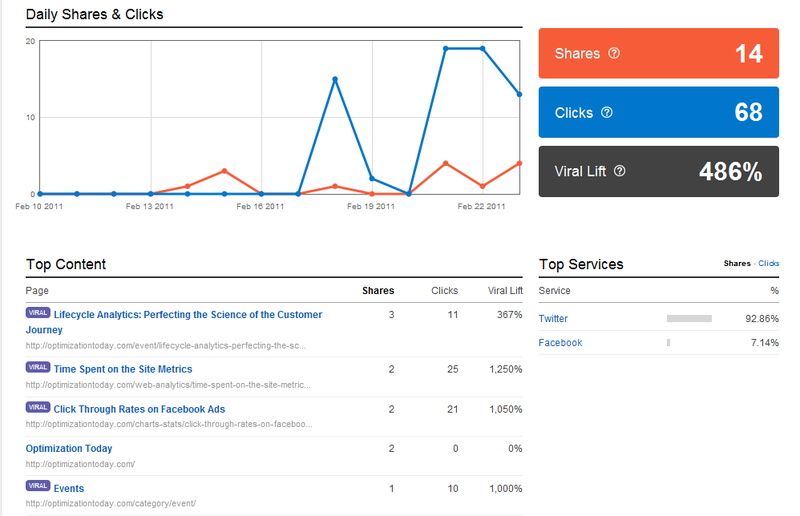 Social shares present a great opportunity to drive lots of valuable traffic. A/B test different locations of share widget to see how it impacts your bottom line and find the best location for those widgets. Several studies have shown that people trust the link and site recommendation they receive from their friends or experts in the field. To capitalize on this opportunity websites have long used features like “Recommend to a Friend” or “Email this” kind of functionality. Recently we have seen a rise in usage of tools/widgets that make it easy for the visitors to share links via email and social media. Many of the tools/widget that allow you to add easy sharing now also have built in analytics to help you track things such as which content is getting shared, how many people like to share etc, what methods do they use to share etc. ShareThis and AddThis are very similar in functionality with some minor differences but they look more like each other. AddThis and ShareThis only capture the information if a user uses the widget provided by these companies. However, these widgets won’t’ track the content shared by old fashioned copy and paste of either the URL or the actual content of the page. This is where Tynt comes into picture. Unlike AddThis and ShareThis Tyne does not have any share widget. Instead it works by automatically appending a unique hash value (a number folder by #) to each URL and the copied content. It uses that hash value (sort of like unique cookie) to determine metrics such as how many times the links/content was copied from your site, the number of visits it brought back and various other metrics. 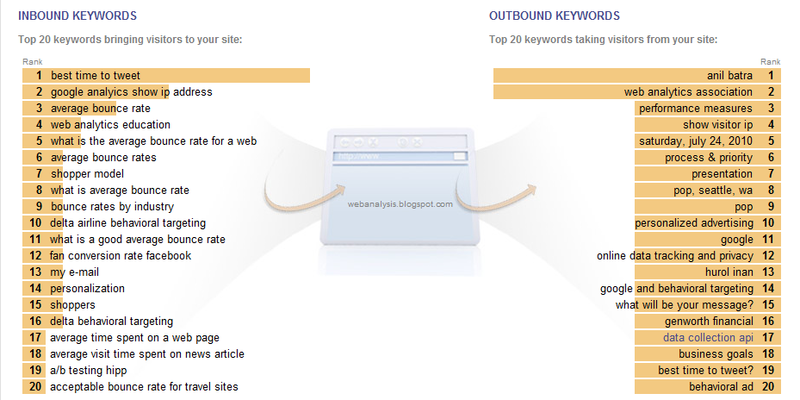 Outbound keyword - the keywords that visitors found on your sites but left your site to find out more about them. This is a really cool report because it tells me what else I can write more about on my site so that my visitors don’t have to leave the site to find out more about them. I will be using that report to add more content to my blog/site. I will cover some more details on these tools and how we use them for our clients in future but for now I suggest you look at these tools and let me know what you like or don’t like about them. Do you know of or use any other service? Send me the details. Note: In addition to above three there is “Facebook Like” button too. Presenting the data is what Web Analysts do majority of the time. 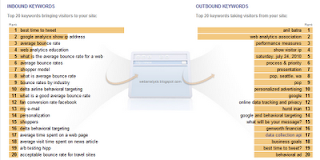 It is critical for Web Analysts to present the data in a way that is easily understood by their intended audience. However, I have seen time and again that this simple rule is missed. Why? Because we all suffer from what is known as "The Curse of Knowledge". What is The Curse of Knowledge? "Curse of Knowledge" becomes a big issue for Web Analysts and Managers who are trying to create a Culture of Web Analytics. We assume that people know what we know because it seems so simple, right? Think again. Even simple metrics such as Visits, Visitors and Page views that seem so simple and no-brainer to you are difficult for others to understand. If the numbers/data/reports that you present to the stakeholders do not provide them what they need in a simple and easy to understand format then you are in for a very though journey to building a Culture of Web Analytics. To further illustrate my point, let me tell you about a situation that I personally had to go through. I also asked him to tell me how much my monthly payment was going to be for those interest rates. We decided to watch the interest rates to see when they fall in my range and he promised to send me the daily interest rates. Next day he sends me the following table with some explanation of the two columns. All this did not make sense to me, and I deal with numbers all day long. He also wrote that he will explain this to me over the phone. So he called and tried to explain me the above chart but he still did not answer my earlier questions. See the problem? If you have to call someone to explain your data that mean you have not done a good job of understanding him and his needs. You see how easily you can alienate someone by not presenting the information in the right way. That’s the issue you face when you are trying to sell value of analytics within your organization. 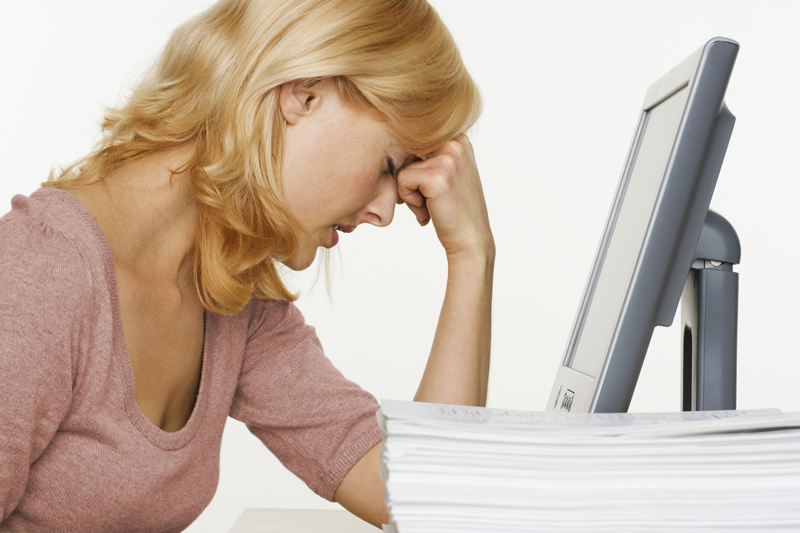 People look at your reports few times, find it too complex to understand and move over to other things. If that happens then you are done.